Story: It's traditional for all young witches to leave their families on the night of a full moon, in order to learn their craft. That night has come for Kiki, who follows her dream and embarks on the experience of a lifetime. With her chatty black cat, Jiji, she flies off to find the perfect place to practice her magic. 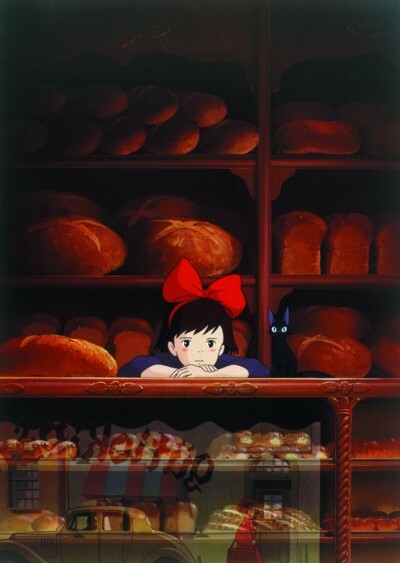 Once there, a bakery owner befriends Kiki and helps her start her own Special Delivery Service. We follow Kiki and her journeys of fun-filled escapades and new friendships, including one with Tombo, a boy who dreams one day of flying. When Kiki suddenly discovers she has lost the ability to fly, she is forced to do some soul-searching of her own, especially if she is to have any chance of saving her friend's life in a dramatic rescue before the entire town.